God uses the “natural” to give us spiritual truths. God wants His people to focus on the spiritual, not the natural. He uses the “natural” to bring us to the “spiritual,” as He uses the “natural” earthly people, nation and law to paint a picture of the spiritual in Christ. We are to use these “earthly” things to show the truth of Jesus and how it was all pointing to Him and His perfect and complete sacrifice for all. A shofar is a ram's horn that has been cut off from the head (highest place) of the matured, male ram. The first mention of the ram's horn in scripture is in Genesis 22 when the father (Abraham) went with his spiritual promised son (Isaac) up Mount Moriah to offer the promised son as a burnt offering for atonement. Jesus fulfilled this once for all--both Jew and Gentile. He is the Perfect Burnt Offering for atonement because His blood atoned for the sin of the whole world. The blood of the "earthly" lambs, bulls and goats in the Older Testament atoned for the Israelites temporarily. This atoning blood had to be repeated every year, year after year. The blood of Jesus atoned for the sin of the whole world once-for-all. It does not need to be repeated. A ram is the father of a lamb! In Genesis 22, the ram was caught in the thicket by its horns on its head – the highest place on the animal and the place of headship, wisdom (Word) and authority. A thicket or thorns represents sin in scripture. God had to set this ram's horns free from the thicket (sin) so it could be used as the substitute sacrifice for atonement instead of Isaac. 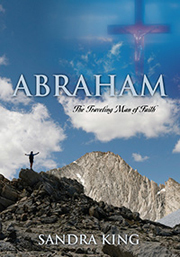 The story of Abraham and Isaac's willing sacrifice to God for atonement is a picture of what God would do through His own Son Jesus. This is the gospel that God preached to Abraham. He showed Abraham through this very experience on Mount Moriah with his own spiritual son Isaac that in the future, God would provide His very own Son Jesus as the atonement for ALL sin. God also wants to set followers of Jesus free from sin so we will be a living sacrifice for God. Jesus was a Living Sacrifice to God so He wants us to be a "living sacrifice" for Him. In other words, Jesus wants us to become like Him and offer ourselves to God as His faithful son and daughter. Jesus was both the Lamb and the Ram. "In Him all things consist." Jesus was 30 years of age which is the age of maturity when He began His ministry on earth. At the age of 33, He was led to the slaughter to die on the cross of suffering for atonement for sin. He was the Lamb in His innocence and the Ram as a matured Divine Man indicated by the number 30. He is all in all as the One through whom all things were created. If Jesus created all along with the Father and the Holy Spirit, then all things have a message about Him! The whole earth is full of the glory of the Father, Son and Holy Spirit – the fullness of the Godhead. They are one and have one will, one purpose and one Truth. The ram’s horn (shofar) and trumpet in scripture represent the Word of God (both the Living Word Jesus and the written Word that is all about Jesus) anointed by the Holy Spirit. The New Testament says that the Truth sets a person free and the Holy Spirit is the Spirit of Truth. So these two work together in revealing Jesus and teaching us the ways of the Father, Son and Holy Spirit. The scriptures in the Older Testament and the lives of the godly men and women illustrate the blessings of those who walked in obedience to God and the consequences of disobedience. They are examples for us to learn from. The inside of a ram's horn (shofar) is filled with flesh and blood! These must be cleansed out of the instrument, and the instrument prepared by being polished and shaped and pierced before it can make sound and be used of God. In Christ, we are His instruments through whom He receives praise and do His Kingdom work according to His ways and will. First flesh is removed—our dead fleshly ways need to be removed so we will walk according to the Spirit. Then blood— We must apply the blood of Jesus as our protective covering. Then it must be sanded and polished taking the rough edges off so the sound can come through clearly. Followers of Christ must allow the Lord to refine us and polish us so the Word of God / Jesus/ Truth can be sounded from us in clarity and power. Next a hole must be drilled (pierced) near the mouth/tip so the breath of the blower can go through the horn to make the sound. It is the breath of God—breath of the Holy Spirit—and the Word/Jesus sent forth in power that pierces our hearts and the hearts of others. Heat is then applied to shape and form the shofar-- God will use His refining fire to shape and form us into instruments full of the Anointed Word and praise to do His Kingdom work. No sound can come out of the shofar until a hole is pierced in it. Jesus was pierced for our transgressions so we could become instruments of use for His Kingdom. No sound can come out of us without the breath of the blower – Holy Spirit. Jesus after being pierced on the cross poured out the Holy Spirit to teach us His Truth/Word and to empower us for ministry.The shofar required the death of an innocent animal. Jesus became that innocent One who is the whole Word of God from beginning to end and who died for the sins of the whole world – not just the Jews. The Word of God has been sounding louder and louder calling people to God's precious sacrificial lamb, His very own Son who was Eternal in the beginning when all things were created, was Eternal and holy on earth because He was without sin and will be Eternal and the Eternal Word forever. He is the Word of God in the beginning; He is the Word of God in the end! God doesn't change. The shofar makes a sound, but the reality is Jesus, the Word anointed by the power of the Holy Spirit. It is the Anointed Word that is to be sounded now out of the mouths of those who love and follow Jesus. Jesus had not come, died, was resurrected and poured out the Holy Spirit when God told the Israelites to use the shofar to call people together. But once Jesus came into the world(God in the flesh and the Word of God), we are now to sound His Word to gather His people--both Jews and Gentiles--to Jesus and His Body. Because the blood of Jesus paid the price of the penalty for not obeying the Law, the Holy Spirit -- the Spirit of Truth -- was sent to teach us pure Truth so we can sound it loudly to all. The shofar doesn't speak the powerful Word of God. It just makes a sound that most people don't understand. It has no voice. The Jews understood the various meanings of the different ways they were to sound the shofar, but the shofar couldn't teach the Jews the ways of God as the Word does. Signal God's presence – Ex. 19:16, 19 Jesus is the presence of God and the Word of God that reveals Him. The Bible says that the trump will sound and the presence of God -- Jesus -- will come in glory in the clouds. To announce the Feast of trumpets/Feast of Atonement – Leviticus 23:23-25 The Word of God blasted with the breath of the Holy Spirit is calling all people to Jesus who is Truth and God's Divine Atonement for all—both Jew and Gentile. The Word of God will blast louder and louder just before Jesus comes again to complete the atonement of the heavens and the earth to their holy, original state before sin entered. To gather God's people for warfare -- Jesus resisted the temptations of the devil by the Word of God. The power and authority of Jesus in those who love and serve Him will defeat the devil as we gather around His Word. To gather God's people to order for movement-- The Godhead and the Word of God give gifts to God's people and put us in order so we do God's Kingdom work in unison. To announce a coming King -- It is the Word of God that announces King Jesus. Warn of danger or an enemy-- It is the Word of God that warns us of sin and the devil and his cunning ways. The Word of God/Jesus does all of the above. It reveals God's presence, character, will and ways. It also reveals the devil and his ways. The Word anointed by the breath of God is calling all people together to His Son for Divine Atonement and Truth. The Word of God strengthens us for spiritual warfare and puts Christ's Body in Divine order for movement in the Kingdom of God. The Word of God will blast louder and louder just before Jesus comes again as King of Kings and Lord of Lords. tekia – short blast to awaken God's people. God will often speak a quick, short Word to bring His Church out of its slumber. repentance – broken heart over sin that breaks God's heart. Rosh Hashannah – brokenness and a returning to God..
teruah – alarm – battle sound gathering God's people for war. Tekiah Hagadolah – Great Trumpet – blow for as long as your breath can do so. In other words, send out the Word of God as long as you have breath in you. Jesus, the Word of God, – the Great Trumpet – will rend open the graves and cause the dead to rise when He comes again just as He did right after He shed His blood and was resurrected and ascended to the Father. 1 Cor. 15:50-52 Get prepared! While we await His coming, the Word of God is resurrecting us into new, spiritual life if we obey it. The trumpet on Mount Sinai in Exodus 20:18 brought fear and trembling to God's people. Followers of Christ “tremble” at God's Word because of its holiness and power. In Revelation 1, John heard the trumpet that had a voice – Jesus Christ. Jesus is the trumpet (voice) of God. Jesus is the shofar/trumpet. As the shofar on Mount Sinai got greater and greater, the Word of God is being sounded greater and greater and the Person of the Word (Jesus) will be known greater and greater because of it. Revelation 4:1: After this I looked and there before me was a door standing open in heaven. And the voice I had first heard SPEAKING TO ME LIKE A TRUMPET SAID, “COME UP HERE, AND I WILL SHOW YOU WHAT MUST TAKE PLACE AFTER THIS.” The voice was a Person, and we are to glorify and honor the Person – Jesus Christ. John first heard the voice and when He turned toward the voice, He saw the Person – Jesus. When those who love and follow Jesus hear the Word of God, we are to turn and we will see the Person of the voice of God. The shofar was an earthly instrument taken from an earthly animal. The Person that it symbolizes is the Lord of glory and the whole Word of God who came from heaven and returned to heaven! When Joshua and the Israelites obeyed God's Word completely at Jericho, the protective walls of Jericho came tumbling down. The priests (leaders) blew the trumpet (representing the Word of God) and the people shouted in praise and the walls came tumbling down. It is the Word of God and praise that breaks down the walls around a person's heart so he or she can have hearts of love and compassion. Jesus, the One with a voice like a trumpet—the Word of God-- uses His Word anointed by the Holy Spirit to change our stony hearts into hearts of love. The shofar can't do this! In Judges 7, when Gideon and the faithful remnant blew the shofar and shouted praise it startled the enemies and threw them into confusion. It is the Word of God that does this! Unfortunately, the devil has brought Christ's Church into confusion by going back to the old symboliic ways. It is the Word of God that breaks down walls and confuses the enemy and brings in victory, not the shofar. In Ex. 19:15-20, there was a very loud trumpet blast.. The Lord descended to the top of Mount Sinai and called Moses to the top of the mountain. Here in Exodus, the mountain was covered with fire and smoke and the whole mountain trembled. At Pentecost in the New Testament, Jesus poured out the Holy Spirit in the Upper Room when His true followers were in one accord and obedient to Christ's Word to go to Jerusalem and wait for this. The Holy Spirit came to carve the Word in our stony hearts, not on tablets of stone as He did with Moses for the Israelites. Jesus brings it internal. As Moses was called up to the top of the mountain (higher), Jesus called His disciples up the mountain with Him to teach and instruct them. Jesus will also call His Bride up just as the Lord called Moses, Enoch and Elijah up to the high, heavenly place. Jesus always wants to take us higher with Him! The shofar in scripture is symbolic of the Word of God who is Jesus. Jesus will come back the way He went up. God's ways never change! Jesus didn't blow the shofar, He spoke His powerful Word and touched people and they were healed! He spoke His powerful Word to teach, train and equip His own to carry on the work of establishing His Kingdom on earth as it is in heaven. He also used His powerful Word to resist the temptation of the devil. If that's how Jesus did it, then it is how we must do it! The trump and shout are combined again in 1 Thess. 4:16-17 regarding the future coming of the Lord of lords and King of kings. The Word of God, praise and worship will usher in King Jesus just as it does in the church today. We know Him by His Word and we praise Him for all that He has done. Jesus, the Word of God, will not come as a mere human. His glory and power and His powerful Word will fill the sky and all will know who He is. When His feet touch the Mount of Olives, it will split. This will take great power and glory to do! We serve a Mighty, All-Powerful King! Please don't make His earthly experience His heavenly one! A person is known by His face and by His voice. It is important that we know the Word of God so we know the Person of the Word -- Jesus Christ. These two silver trumpets called the Israelites to assemble at the entrance of the tabernacle, and was also used to gather all Israel together before they moved at the leading of the pillar of cloud and fire. If only one silver trumpet was sounded, then the leaders were to assemble. If two trumpets were sounded, then all the people were to assemble for instruction. God deals with the leadership first; then the people. Silver is the metal of atonement. We gather together as one through God's Divine Atonement through the shed blood of His precious Son. He has called both Jew and Gentile together “as one new man” through the Body of Our Lord and Savior Jesus Christ. Alleluia to the Lamb who was slain. All glory, honor and praise belong to Him!